The government sector is well into its digital transformation and cloud—public, private, hybrid—plays a major role. On average, across all industries, companies spend 20.4% of their IT budgets on cloud, national governments today spend 22% and local governments 20.6%. The global government cloud market was valued at ~$21 billion in 2017, and is expected to grow at a CAGR of 15.4% between 2018 and 2023. Public cloud is the single largest deployment model, accounting for ~$7.7 billion in 2017 and expected to exceed $17.8 billion by 2023. The two leading cloud providers, AWS and Microsoft Azure, have long recognized the potential of the government sector and both have extensive government clouds that address the unique security and other regulatory requirements of public sector IT. This blog post explores the value that the government sector is extracting from the cloud, illustrated by a number of real-life success stories. The need to reduce costs while maintaining or, better still, enhancing service levels for employees and citizens. The need to shift from a CAPEX model, with its large sunk costs in infrastructure that quickly becomes obsolete and has long provisioning cycles, to the more elastic, scalable OPEX model. The need to handle and analyze ever-growing volumes of data to support data-driven policies and implementations. In recognition of these benefits, national governments across the globe are allocating funds and resources to drive cloud adoption among government agencies. In the U.S., for example, Congress passed the Modernizing Government Technology Act of 2017, which established a $500-million Technology Modernization Fund to improve IT and enhance cybersecurity across the federal government, including to “…transition legacy information technology systems to cloud computing…” Similarly, the European Union has created the Euro Cloud as a pan-European cloud innovation hub, and Japan has built the Kasumigaseki Cloud to better integrate information resources across government agencies. The usual problems associated with trying to introduce innovation into bureaucratic, hierarchical organizations. Changing government organizational culture, with its multilevel decision-making and long policy timelines, is a slow and organic process. Somewhat related to the first point, government agencies often find it difficult to attract cloud talent from the private sector. Concerns about vendor lock-in relative to the public cloud providers. Perhaps the greatest constraint to government cloud adoption, however, is the sensitive nature of government data and the perception that on-premises is more secure/private than cloud. For this reason Gartner predicts that governments will implement private cloud at twice the rate of public cloud through 2021, with the problem being that government private clouds tend to be advanced virtualization only, without the full characteristics and benefits of the cloud. Both AWS and Microsoft have developed infrastructures and programs to lure government customers. AWS offers cloud computing services especially tailored to the security and compliance needs of the U.S. federal government and its various agencies. These infrastructures and services are fully compliant with FedRAMP—the Federal Risk and Authorization Management Program that assesses, authorizes, and monitors cloud products and services for the federal government. Its AWS GovCloud (U.S.), for example, is an isolated AWS region designed to host highly sensitive workloads such as for the Department of Defense and law enforcement agencies. Since 2014, it has offered Commercial Cloud Services (C2S) to the intelligence community (IC) and, as of Q4 2017, the AWS Secret Region has been available for the exclusive use of its C2S IC customers. AWS is also an active participant in the U.K. government’s G-Cloud streamlined cloud-service procurement program. The Microsoft Cloud for Government includes Azure Government, Microsoft 365 for U.S. government, and Dynamics 365 CRM Online Government—all of which support more than 72 compliance frameworks. In March of this year, Microsoft announced an expansion of its government cloud offerings, with an extension of the Azure stack to on-premises environments and greater security and compliance for Dynamics 365. Microsoft has eight dedicated government regions, which offer three tiers of government cloud services: Government Community Cloud (GCC) for state, local, and federal agencies; GCC High for government customers handling more sensitive activities; and DoD Cloud, specifically for the Department of Defense. There’s nothing like real-life success stories to understand the benefits that government agencies at all levels are finding in the cloud. The Air Force Special Operations Command (AFSOC) uses the AWS GovCloud to centrally store data so that personnel can work with a common set of information such as schedules, post-mission reports, inventories, and more. AFSOC was able to save $3.5 million while better and securely serving more than 16,000 military and civilian users in the U.S. and around the globe. The Small Business Administration (SBA) uses Microsoft’s Office 365 for the U.S. Government to cost-effectively enhance productivity and collaboration across the SBA’s highly dispersed employee base. In June 2011, the General Services Administration (GSA) migrated from their legacy email and collaboration software to the Google Apps for Government Software as a Service (SaaS), including instant messaging, contact management, and shared calendar capabilities. The cloud-based solution is estimated to have saved the GSA about $15 million over 5 years. The City of Chicago moved their productivity services to the Microsoft cloud to reduce costs and on-premises infrastructure. The migration brought other benefits such as process automation, information discovery, and employee satisfaction with the mobility that lets them work anywhere, on any device. A systematic study of three U.K. municipalities that migrated their public-facing services to the cloud revealed a strong return on investment in terms of cost savings, improved information management, and enhanced business efficiency. King County in Washington State needed to replace a tape-based backup system that stores information generated by 17 different county agencies. It implemented a long-term archiving and storage solution using AWS’ Amazon Glacier service, meeting all federal security standards and regulations. The county saved $1 million in capital expenditures in the first year and is projected to save $200,000 per year from reduced operational costs. There are many opportunities for growth in the government cloud sector. In a 2017 Gartner survey of 450+ government CIOs across 98 countries, digital transformation was ranked as the top business priority, with 19% planning on increasing their spending on cloud services during the coming year. Previous constraining factors such as concerns for data security and privacy are weakening as the public cloud providers continue to invest in successfully hardening their security and privacy profiles. 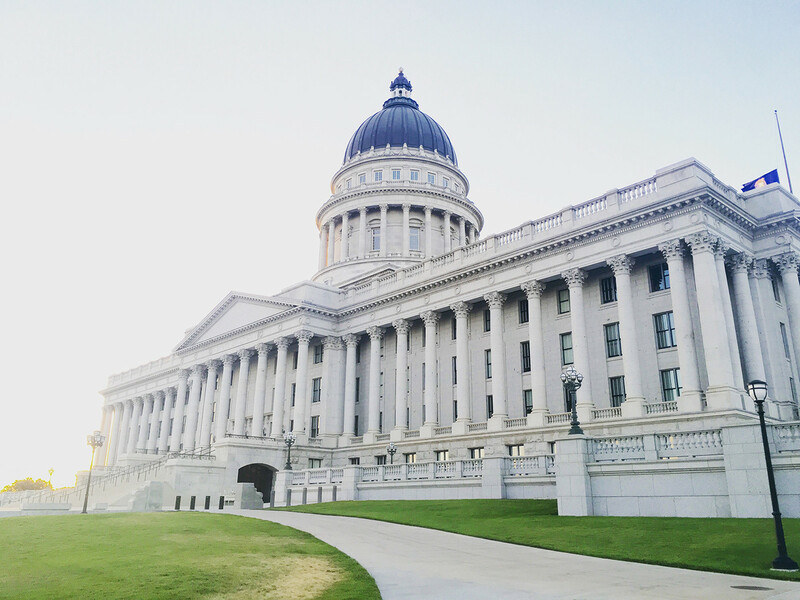 And there are more and more case studies that clearly quantify the cost savings and operational efficiencies that are gained when migrating government services to the cloud. Geographically, government cloud initiatives are particularly strong in the APAC region, where governments are playing catch-up in terms of e-government services. As far as offerings are concerned, SaaS is currently the biggest contributor to revenues generated by the government cloud sector and this trend towards holistic, fully managed solutions is expected to continue. With so many large corporations active in the government sector, SaaS evens the playing field for innovative startups bringing cloud-based solutions to the government sector. In short, just as a rising tide raises all ships, the growth of cloud adoption in general will deepen the impact of cloud computing in the government sector, for the benefit of policymakers, civil servants, and citizens alike.